With a stay at Red Roof Inn Hot Springs in Hot Springs, you'll be steps from Hot Springs National Park and a 3-minute drive from Hot Springs Convention Center. This hotel is 1.2 mi (2 km) from Bathhouse Row and 1.9 mi (3 km) from Magic Springs and Crystal Falls. Make yourself at home in one of the 50 air-conditioned rooms featuring refrigerators and microwaves. Your room comes with a pillowtop bed. 27-inch LED televisions with digital programming provide entertainment, while complimentary wireless Internet access keeps you connected. Bathrooms have shower/tub combinations and hair dryers. Take advantage of recreation opportunities such as hot springs, or other amenities including complimentary wireless Internet access and gift shops/newsstands. Additional amenities at this hotel include wedding services and a fireplace in the lobby. 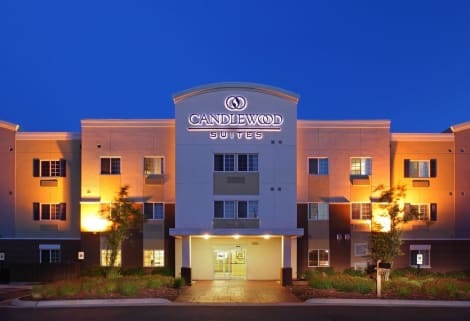 With a stay at Candlewood Suites Hot Springs in Hot Springs, you'll be a 2-minute drive from Oaklawn Racing & Gaming and 8 minutes from Hot Springs National Park. 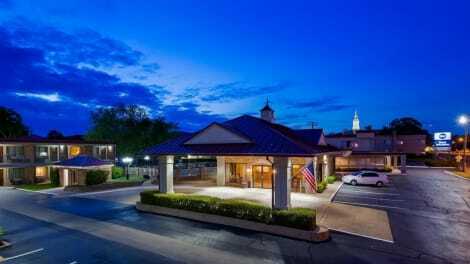 This hotel is 2.3 mi (3.7 km) from Hot Springs Mall and 2.8 mi (4.6 km) from Hot Springs Convention Center.